Our corporate profile revolves around the company’s flagship publication, LMD (Lanka Monthly Digest). The pioneering magazine was launched in August 1994. Today, it is the only magazine with Superbrand status in Sri Lanka. Sri Lanka’s Voice of Business strives to achieve excellence in business journalism that is comparable with the best magazines in the world. 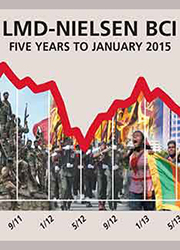 In Sri Lanka, it has pioneered concepts that are now benchmarks for other publications. 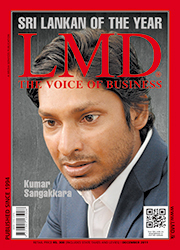 LMD’s focus is uniquely on the big picture of Sri Lanka’s business landscape. This encompasses most of the burning issues which confront the nation – winning the peace, bribery and corruption, professionalism and ethics, politicisation, law and order, infrastructure, technology, productivity and poverty, amongst others. 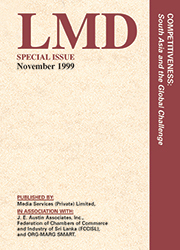 LMD was the only publication of its kind in Sri Lanka at the time it was launched. It continues to blaze a trail across the corporate landscape of this country. LMD enjoys a monthly readership of around 30,000-40,000 (a print run of 5,000 copies on average, read by six-plus people per copy). The target readership comprises business and opinion leaders, and senior managers and professionals. It is increasingly read by the academic and diplomatic communities, and civil-society organisations. LMD covers the gamut of business, politics, current affairs and management, catering to corporate leaders, managers, executives and directors as well as to anyone who is interested in both Sri Lankan and international corporate, economic, financial, political and current affairs. The layout of the magazine is in the form of a digest, which consists of the following. Contains Key Biz Indicators which include economic indicators such as stock market indices, interest and forex rates, price indices, and government debt and agricultural production, to name a few. The LMD-Nielsen Business Confidence Index (or BCI) is the only one of its kind in Sri Lanka. LMD’s monthly update is compiled in association with Nielsen and has been tracked for over a decade. The exclusive poll is based on a survey of 100 senior executives in the city of Colombo, and is compiled from answers to a series of questions on business conditions and expectations. The magazine contains in-depth, unbiased analyses and interviews with leading personalities in the corporate world, opinion makers, key public figures and the next generation of leaders. LMD’s Business Forum segment focusses on critical issues that arise in Sri Lanka’s corporate landscape, including unprejudiced opinions on what problems exist in key sectors of the economy and how they can be resolved. LMD provides in-depth analyses of local and regional markets, and monthly industry updates. The magazine also covers the latest trends in management, including regular columns on leadership, IT, human resources, legal matters and marketing. In-depth accounts of local and international current affairs, including an up-to-date business news briefing. LMD provides an unbiased analysis of international and national political affairs, painting a broad picture of state proceedings and international events. Political perspectives are provided by both local commentators and through foreign correspondents. The magazine prides itself on being fiercely independent. A one of a kind coffee-table publication records the inside story of Sri Lanka’s pioneering business magazine, and the team behind LMD and its publishing house Media Services. The book commemorates LMD’s first 15 years and is being retailed at leading bookshops. A coffee-table book, LMD Classics was released in August 2014, to commemorate LMD’s 20th anniversary. 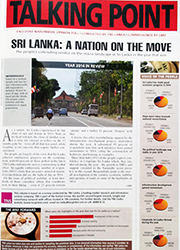 The publication features the best of the best, as it were, from the first Cover Story carried by Lanka Monthly Digest (LMD), to current affairs and sporting events across the globe. The book also features interviews with such luminaries as Sri Lankabhimanya Lakshman Kadirgamar and Sir Arthur C. Clarke, Dr. Mahathir Mohamad, Imran Khan, Deshamanya Arjuna Ranatunga and Kumar Sangakkara, and heads of state, business leaders and corporate giants. LMD Classics celebrates LMD’s historic 20-year journey. Living Icons was published in August 2015, in celebration of the 10th anniversary of Living magazine. A coffee-table book, featuring some of the best celebrity interviews that were published in Living over the last decade, Living Icons is a limited-edition publication. 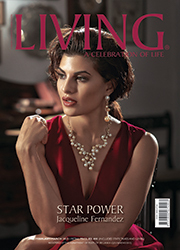 With many local and international famous faces livening up the pages within, Living Icons is a stylish addition to coffee tables in elegant living rooms across Sri Lanka. LMD boasts what is arguably the most high-profile combination of advertisers in the nation’s print media (Refer ADVERTISER INDEX in LMD). Subscribers receive a complimentary desk calendar each year. Readers are entitled to substantial discounts on books, via the LMD-VIJITHA YAPA BOOK CLUB. Some of the biggest names in business are LIFETIME SUBSCRIBERS to LMD, a unique concept pioneered by Media Services in July 2001. This subscription base now exceeds 1,800. Regular competitions in the magazine offer hotel vouchers and numerous gifts to winners. LMD’s corporate subscribers are AIA Insurance Lanka, Amana Bank, Asia Exhibition & Conventions, HSBC, Nations Trust Bank, Nestlé Lanka, Pan Asia Banking Corporation, Rainforest Ecolodge and Swiss Biogenics. LMD is available in-flight to Business Class passengers on SriLankan Airlines. The magazine is sold at leading bookstores and supermarkets islandwide. Advertisers in LMD enjoy exclusive coverage, every month, of company news – via the magazine’s Advertiser Forum segment. This consists of exclusive press releases of new products, launches and activities of media interest. Our chief printer Softwave has won awards for both excellence and merit in selected categories, including the coveted Master Printer award. LMD has gained a reputation for innovation over the years. Some of its pioneering concepts and publications include the following. Launched in January 1996, this has been an annual feature ever since. Nominees have included Lakshman Kadirgamar (1995), Deshamanya Arjuna Ranatunga and the Sri Lankan cricket team (1996), Deshabandu Sanath Jayasuriya (1997), Deshamanya Ken Balendra (1998), Deshamanya Dr. Lalith Kotelawala (1999), Susanthika Jayasinghe (2000), Chandra Jayaratne (2001), Prime Minister Ranil Wickremesinghe (2002), K. N. Choksy (2003), Dayananda Dissanayake (2004), Sri Lankabhimanya Lakshman Kadirgamar (2005), Jayantha Dhanapala (2006), Wijeyadasa Rajapakshe (2007), Dr. Hans Wijayasuriya (2008), President Mahinda Rajapaksa (2009), Muttiah Muralitharan (2010), Kumar Sangakkara (2011), Pradeep Sanjaya (2012), Susantha Ratnayake (2013), the Sri Lankan Cricketer (2014), Mahinda Deshapriya (2015) and Dr. Indrajit Coomaraswamy (2016). A one of a kind monthly update compiled by LMD in association with Nielsen, based on a survey of senior executives in the city of Colombo, reflecting responses on business conditions and expectations. An exclusive opinion poll commissioned by LMD and executed by Kantar TNS – a leading market research and information-services company – on issues that confront the nation and its leaders. 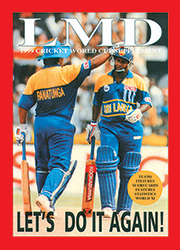 A celebration of the achievements of Sri Lankans and Sri Lanka, in the February 1998 issue of LMD, to coincide with the nation’s golden jubilee. 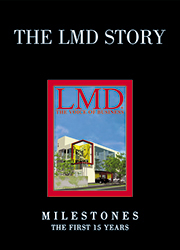 Lifetime subscriptions were introduced on LMD’s seventh anniversary, in July 2001. LMD now has in excess of 1,900 lifetime subscribers. In a day and age when reading time has shrunk while commuting from place to place is taking longer, LMD Podcasts offers an easy listening opportunity for LMD’s target audience who wish to be on top of current affairs and corporate matters. Made available for online streaming through SoundCloud, LMD Podcasts offers selected articles from the pioneering magazine that people can listen to while on the go. The LMD Mall was launched in 2015. As a fledgling e-commerce site, the mall offers books, clothing, electronics, home appliances, mobile phones and tabs, as well as vouchers from star class hotels and service establishments. Media Services’ LMD Wire – an integrated platform for smartphone users – is an easy to use mobile gateway to articles published in LMD, Living, Discover Sri Lanka and Dirimaga, along with Benchmark, BizTalk and Shutter Buzz videos. The LMD Mall can also be accessed on LMD Wire. Available for free download on the App Store and Google Play Store, LMD Wire operates on both iOS and Android phones. BizTalk brings industry experts and biz personalities closer to viewers through one-on-one interviews that focus on corporate performance, the economic outlook and dynamics of the business world. While each video is 8-12 minutes long, BizTalk provides Media Services’ advertisers a platform to reach out to target audiences through online channels, which include LMD’s website, Facebook page and YouTube channel. Media Services launched a series of short videos for the LMD and Living Facebook pages covering events that affect Sri Lankan society. While each video is 30-60 seconds in length, topics vary from current affairs to how the Sri Lankan cricket team will perform in upcoming matches. The goal of these videos is to reach a wider audience through Facebook ‘likes’ and ‘shares,’ and attract fans to LMD and Living Facebook pages. A glossy monthly round-up of leisure and entertainment in Sri Lanka and travel destinations across the globe, Living was launched in September 2005. The self-styled ultimate lifestyle journal features fashion spreads and up-and-coming young designers; interior décor and architecture; Hollywood stars in one-on-one interviews; food fads by celebrity chefs and restaurateurs; motor reviews; health and wellness advice from the experts; and a touch of humour to put things into perspective – all of which make it a popular must-read for many. 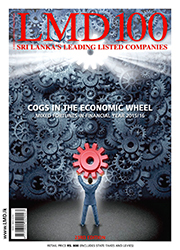 A ranking of the leading listed companies in Sri Lanka, the LMD 100 has come to be known as Sri Lanka’s version of the Fortune 500. First published in May 1995 as The LMD 50, it was the first of its kind in terms of ranking listed companies in Sri Lanka. From 2003/04, the rankings have been published as a stand-alone edition. This stand-alone edition is published annually and it represents another pioneering venture by Media Services. The ranking of Sri Lanka’s most respected entities is based on a survey of working people undertaken by leading research firm Nielsen, on behalf of Media Services. 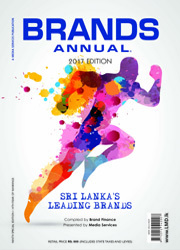 Media Services’ fifth publication, Brands Annual lists and profiles Sri Lanka’s leading brands. 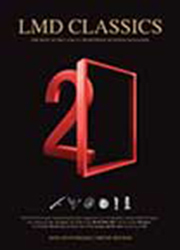 The launch issue of the yearly publication profiled the top 200 listed, public and private-sector brands in this country. Brands Annual is arguably the most comprehensive analysis of brands in this country – the rankings and analyses are compiled by Brand Finance Lanka. 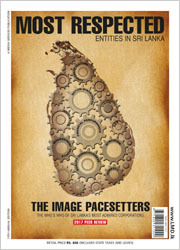 This stand-alone edition sets yet another benchmark in business media here, in Sri Lanka. Released in August 2009 as Living Colombo Guide, this biannual publication was one of the most comprehensive city guides for tourists and residents. Relaunched in January 2017 as Discover Sri Lanka, this must-have quarterly guide covers the length and breadth of our island-nation with listings ranging from airlines to clothing boutiques, and diplomatic missions to restaurants and more. This unique guide also contains handy maps, a distance chart for large towns and cities, and helpful information, addresses and contact numbers. Media Services’ foray into the Sinhala-language medium aims at a wider audience of Sri Lankans covering both urban and rural communities, as well as a growing diaspora. It was launched as Vyápárika Handa in June 2010 – as the ‘Best of LMD’ in Sinhala. Dirimaga is now an online publication. 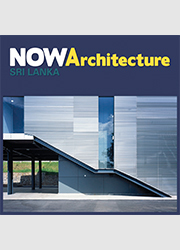 NOWArchitecture Sri Lanka was published in February 2015 – a collaboration between Media Services and the Sri Lanka Institute of Architects (SLIA). The coffee-table book explores the many facets of architecture in Sri Lanka, featuring both commercial buildings and private residences of unique design. NOWArchitecture includes articles that were previously published in SLIA’s quarterly journal The Architect, as well as new features and corporate profiles. Capturing the essence of modern architecture while linking it to the roots of the old, Ambience showcases smart homes where just about everything is remotely controlled. This annual edition also takes readers back in time to the ancestral homes of Ceylon that have been reinstated to their former glory. 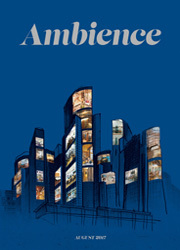 Published by Media Services – in collaboration with the National Construction Association of Sri Lanka (NCASL) – Ambience opens a window to the world of architectural marvels and utopian-like spaces. 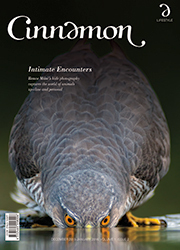 Cinnamon Hotels & Resorts’ bimonthly publication – Cinnamon – made its debut in October 2015. Published in collaboration with Media Services, the lifestyle magazine is aimed at guests enjoying the hospitality of Cinnamon Hotels & Resorts. Whether they are flying across Sri Lanka on Cinnamon Air, touring around the country by Cinnamon taxi or simply chilling out by the pool at one of the many Cinnamon properties, this stylish magazine provides a thoroughly good read. 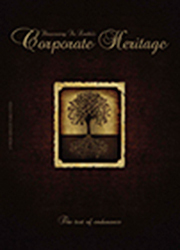 This coffee-table publication by LMD showcases Sri Lanka’s Corporate Heritage and was published in September 2013. This special edition explores the evolution of business in Sri Lanka, harking back to the country’s first trading practice established by George Steuarts in the 1830s, to turn-of-the-century entities such as C. W. Mackie and Perera and Sons, and others with a corporate legacy spanning over 50 years. 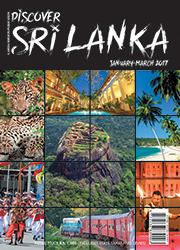 Media Services was appointed official publisher of this annual travel publication by the Sri Lanka Tourist Board for a period of three years. 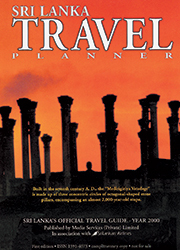 The first two editions of the Sri Lanka Travel Planner were published in 1999 and 2000. 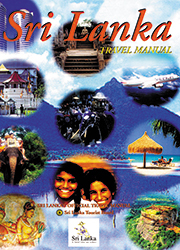 The third edition, which was published in 2001, was renamed the Sri Lanka Travel Manual. Media Services published the nation’s official travel manual in 2001. The manual was Sri Lanka’s guide for international tour operators and travel agents. The venture followed the appointment of Media Services as publisher by the Sri Lanka Tourist Board. 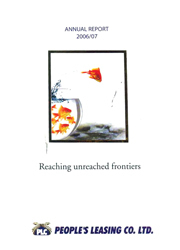 Published in November 1999, in association with J. E. Austin Inc. (USA), the Federation of Chambers of Commerce and Industry of Sri Lanka (FCCISL) and ORG-MARG SMART (now Nielsen), this special issue focussed on competitiveness in South Asia and the global challenge. 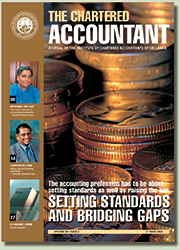 Media Services was commissioned to publish the journal of the Institute of Chartered Accountants of Sri Lanka in 2004, commencing with the second issue for the year. 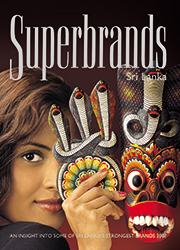 Media Services produces all Sri Lankan editions of Superbrands, for Superbrands Lanka. In order to be considered for Superbrand status, a brand needs to satisfy the criteria of exceptional quality, achievement of consumer trust and confidence, and consistency in delivering on its promise. Our flagship publication, LMD, was amongst the 50 superbrands selected by the Superbrands Council in the inaugural Consumer Superbrands edition. LMD’s 1999 World Cup Special Issue featured contributions from David Frith (former Editor of Wisden), Sidath Wettimuny and Anura Tennekoon. Media Services produced the annual report of People’s Leasing Company for two consecutive years. BENCHMARK is a half-hour, business programme online and on TV. The programme was launched in August 2001, in collaboration with the nation’s leading production house – the wrap factory. The programme airs on cable TV LBN, PEO TV and DIALOG TV, in addition to running on LMD’s website (www.LMD.lk).